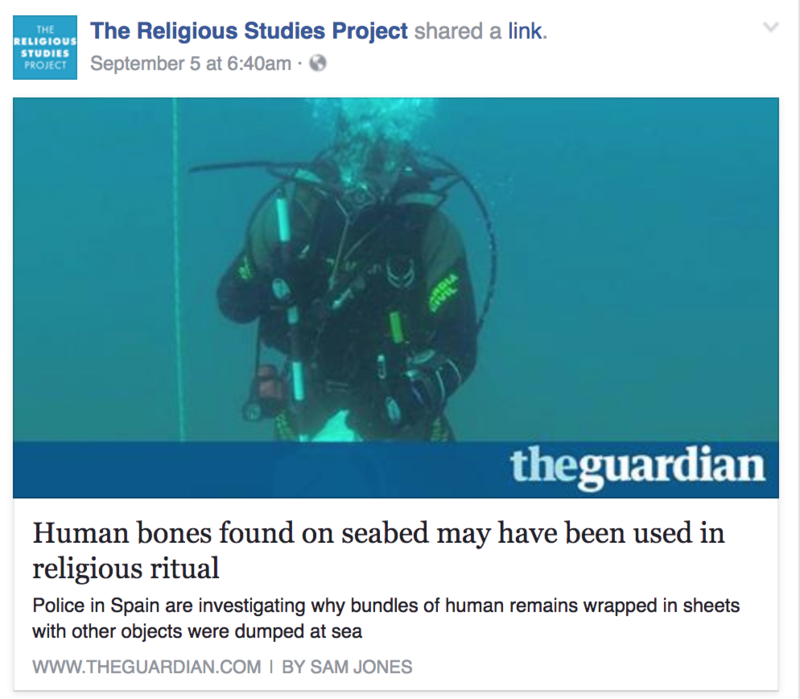 The other day on Facebook, over at the Religious Studies Project‘s page, two posts went up, within a few hours of each other, that made for an interesting (if unintended) juxtaposition. The first is pictured above (click it to read the article), and the second is pictured below. Luckily, nothing’s too puzzling for the category religion; don’t know what something is but you suspect that it’s not just rubbish? Call it religious, claim it was used in a ceremony, rite, or ritual, and, voila, heads will nod in agreement. For religion is mysterious, no? And so this mysterious thing must have been religious. 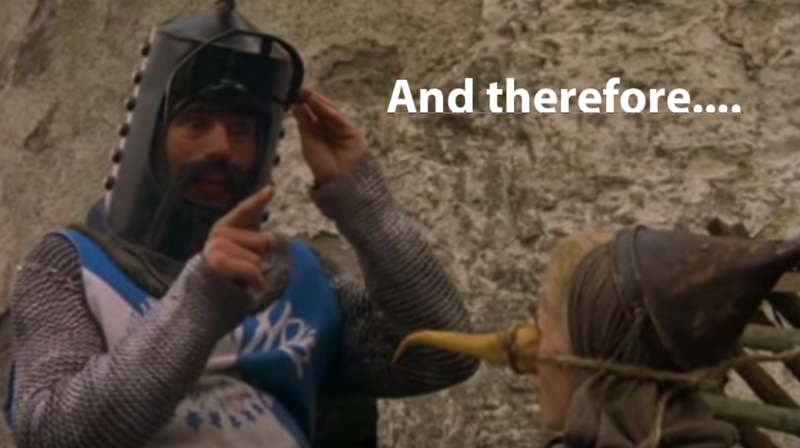 It’s a form of reasoning as solid as how those guys figured out how to determine if she was a witch. 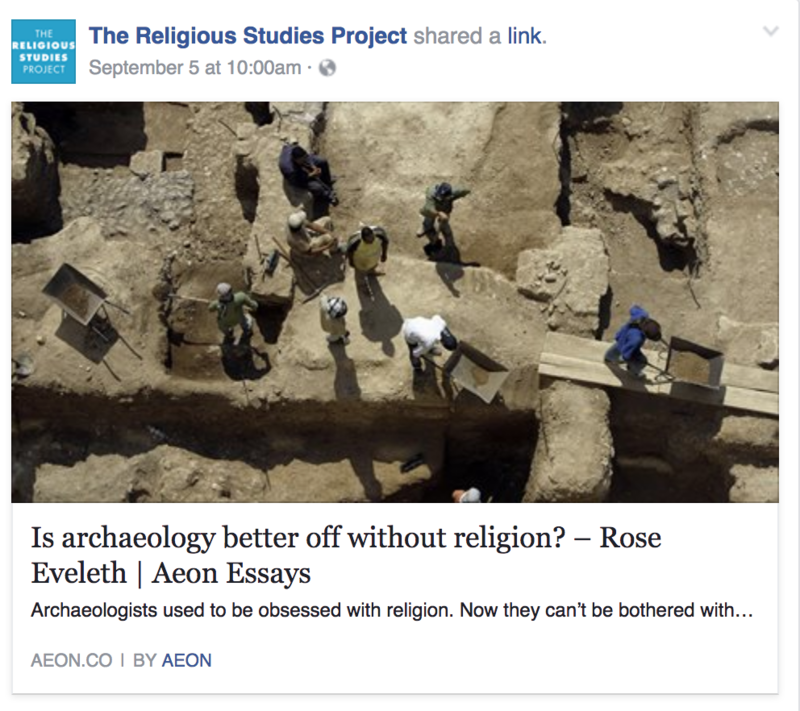 So is archeology better off without religion? Not really, coz if you ask me it can’t exist without “religion,” for what else would all those people digging out there in the field make of the truly puzzling mysteries that they continually find? They can’t call them all toys, after all. This entry was posted in Faculty Blog, Relevance of Humanities, Religion in Culture and tagged Archeology, Classification, Religion, The Religious Studies Project by Russell McCutcheon. Bookmark the permalink.